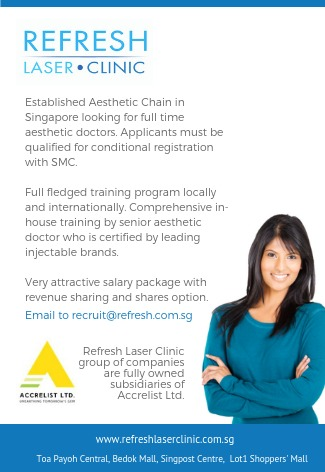 We are an SGX listed company which owns 4 aesthetic clinics in SG. We are looking for Msian GPs who are interested in aesthetic & willing to learn more to be based in SG for training & service. They can transfer back to Msia after they have completed their training as we are expanding in PG/KL/JB soonest possible. SG salary will start with min sgd6k & more.